These are custom made items. Will ship within 3 to 4 weeks. 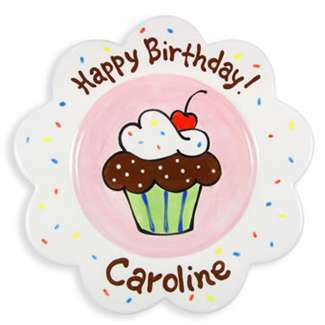 The cupcake Plate for my Grandaughter was so Cute! It surely is a treasure. I would refer this item for a Birthday Gift. 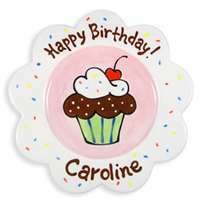 Thank you for all of your kindness and getting the Birthday cupcake plate mailed on time for her Birthday. Thank you so much!